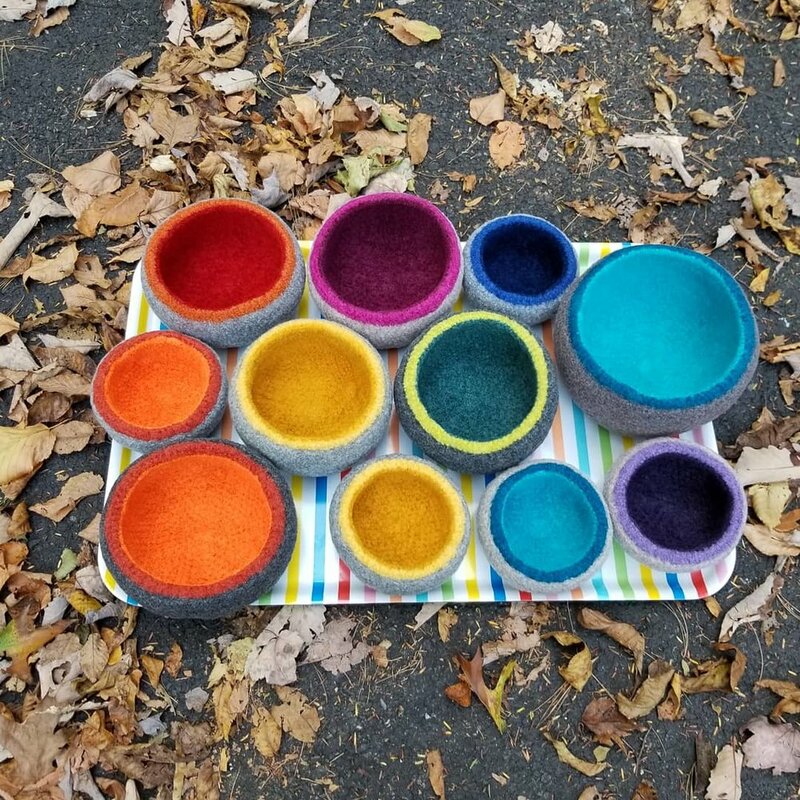 Self taught fiber artist & teacher Erin von Holdt-Gilbert creates colorful felted wool homegoods - baskets, coasters, trivets, table runners etc. 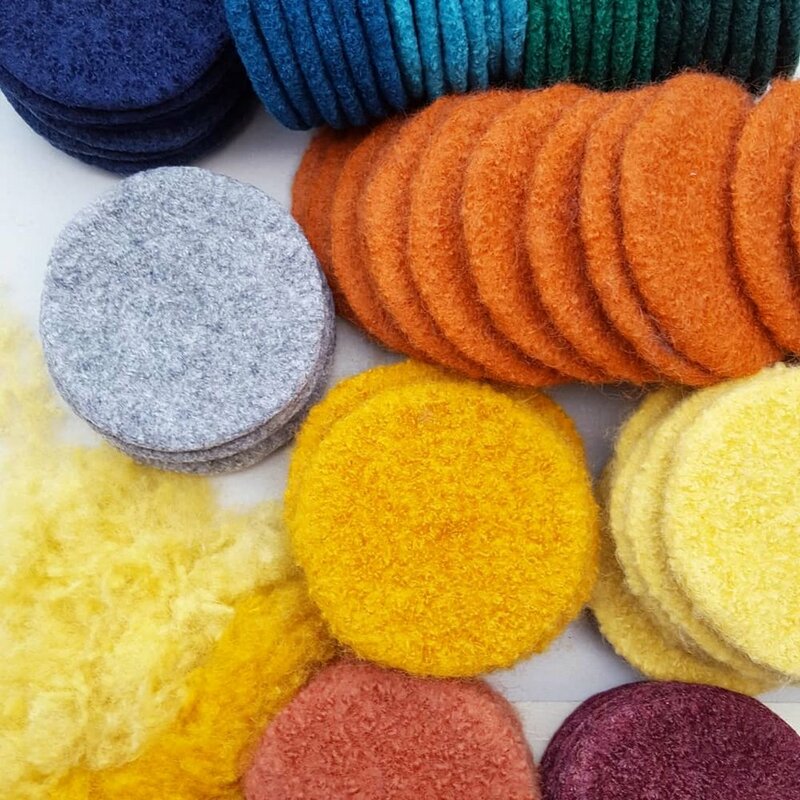 She uses traditional techniques, like crochet & hand sewing to create fresh and functional modern products. She also teaches fiber arts workshops around the Hudson Valley. Her needle-felted pet portraits are featured in the 2018 holiday edition of Sweet Paul magazine. Woodworker & reformed architect Jonathan Gilbert makes kinetic wood sculptures, homegoods and jewelry in his studio outside Stone Ridge, NY.